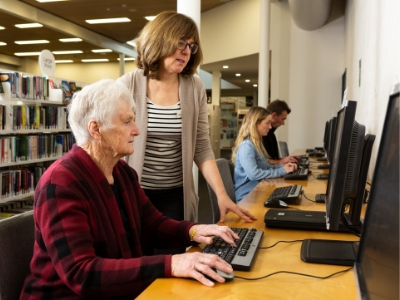 Find activities, services and information for staying healthy and happy in Boroondara. Are you a not-for-profit running events or activities of interest to City of Boroondara residents over 55? Ideas for fun ways to stay active that are good for you too. Find trusted sources of information on maintaining your health. Help is available to live well in your own home for as long as possible. Search our directory of over 600 events and activities in your area. Which will you choose? There are many free and low cost ways to build your confidence with technology so you can stay safe and connected online. 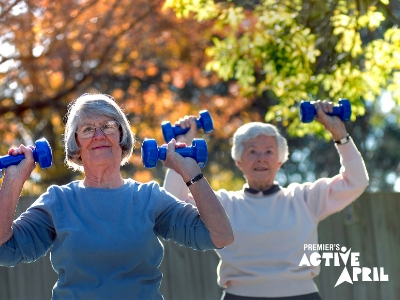 Win great prizes for over 55s by participating in the Premier's Active April Seniors Plus Challenge. Make art, join a band or choir, learn an instrument, take up a new craft, use your local Men's Shed. Find an exercise class, join a walking or cycling group, find a golf, tennis, bowls club, take up tango. Learn about technology, research your family history, study great art and literature, discuss world events. Weight bearing exercises build up your bones and muscle mass and help prevent falls and fractures. For help getting to appointments and around your local area. Someone can look after the person you care for while you take a break. Get help with housework, personal care, home modifications and maintenance. Meal delivery, help with cooking, meal preparation and shopping.